The LA Consulate usually sends the new passport in 3-4 weeks. If your holiday plans involve traveling abroad, it’s best to make sure that your Philippine passport does not expire in the next 6 months. There are 13 Philippine Consulates in mainland U.S. where you can renew your passport and one of the perks of living in Los Angeles is that one is located in East LA. I took a day off for my passport renewal because I wasn’t sure about the process. I read and re-read the website for instructions, sent emails, and tried calling the Consulate office number several times but could not verify if I needed to make an appointment and how long it would usually take to process a passport renewal. 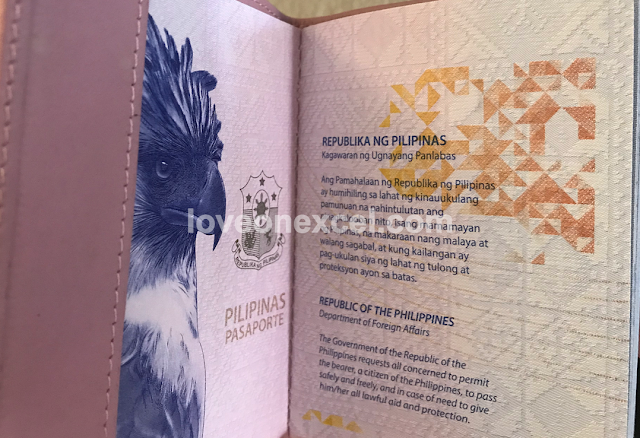 What I verified through my experience is that there’s no appointment necessary for passport renewal, and the Consulate will renew a passport that expires within a year. Also, the line isn’t as long as, say, DFA Aseana, and the process seems simpler and faster because you don’t need to walk to different floors or locations to complete each step. This is the process: you take a number at the Consulate entrance and when you’re called to a window, the Consulate staff double-checks that you have properly filled in your renewal form and brought all required documents. You will then proceed to another window to make payment, after which another staff calls you over to verify that the data on your passport is correct. The staff then takes your biometrics and photo. The actual renewal time took only about 10 minutes for me, but the wait time was about two hours because many of those called in line just started filling up their forms, had incomplete forms, were busy correcting errors, or were rummaging for their required documents. The Consulate provides a dynamic PDF file on their website that you can fill in beforehand. Typing information into the form versus writing by hand will minimize clerical errors and help the Consulate staff read and process the form faster. Don’t forget to print at least 3 copies of the completed form. Aside from the completed renewal form, remember to bring the passport that you’re renewing and a photocopy of its data page and other valid identification. Make sure that you place these in a folder or use dividers so that you’re ready to hand it over to the Consulate staff upon his/her request. The cost of renewal is $60. The website clearly states that you can only pay in 3 ways: in cash, cashier’s check payable to the Consulate, or US Postal Money Order. Depending on your bank, the nearest ATM might be miles away, so it’s best to set aside payment. “Where did you get your envelope” was a question I must have been asked 4 times while I was in line waiting for my turn. I had to bite my sarcasm each time. A self-addressed stamped envelope saves you a lot of time because the Consulate sends you your new passport instead of you having to return to the Consulate office to claim it. You can get a self-addressed stamped envelope from any USPS during its office hours. If you’re a party or family of 4, you will need an envelope for every passport— living at the same address does not allow you to use only one envelope for all 4 passports. I arrived at the Consulate around 3 p.m. on a Friday, which could have been the reason why the wait time took so long. I would assume that the earlier you arrive, the better and faster it would be for you because there would be less people. If you’ve carefully planned and prepared for your renewal, then it really won’t take you more than 10 minutes to complete the steps. I was lucky to have my husband come along for my passport renewal, so he took care of parking the car. It wasn’t easy finding a parking spot (a usual problem in DTLA!) and when he did, it was still quite a distance away.